Don’t be fooled by this cutesy paw. 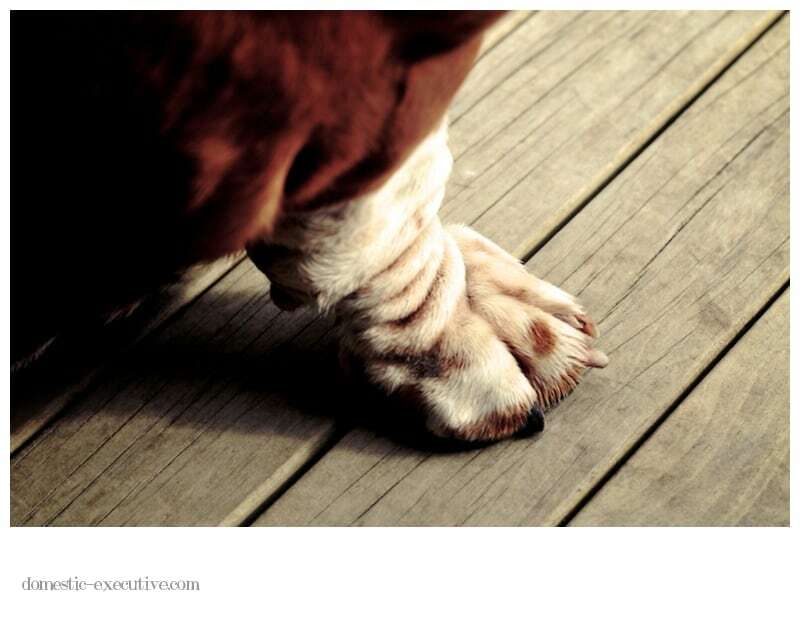 It can do untold damage to your flower beds and then stencil your floors with muddy paw prints. It’s my punishment for putting the bassets on a boot camp regime of long walks and restricted diet. I like to think of it as canine spring cleaning even it is does result in extra efforts on the domestic front. Fortnum and Mason just think I’m being mean. Real mean and spend many hours lounging around plotting their next punishment for me. Canine revenge! Thanks for stopping by Heather – glad you like the bassets. Will hold judgement on the portfolio though… much to learn.